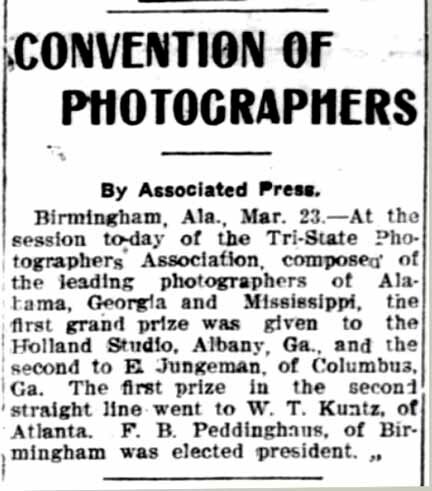 There were several photographers who named their studio or gallery “Sunbeam” all across the US. 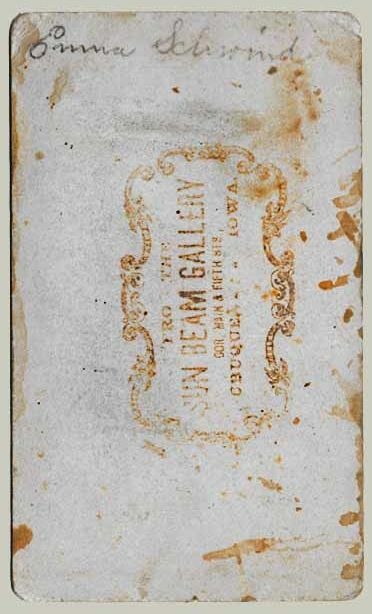 So far Sunbeam Galleries have been found in Dubuque, IA, York, PA, Pipestone, MN, Grand Island, NE, and Peoria, IL. 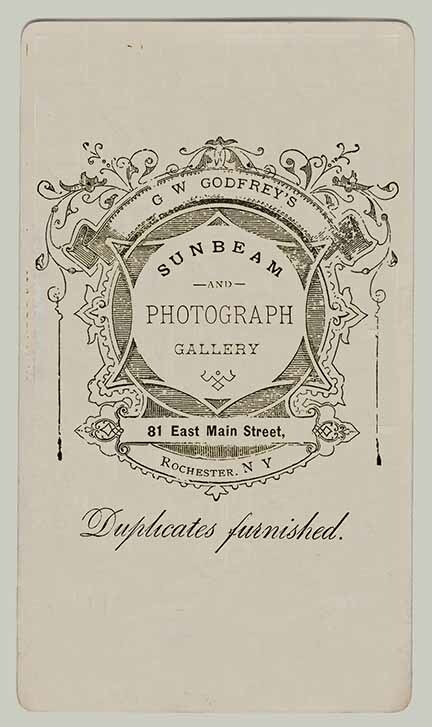 In New York state Sunbeam Galleries were in New York City, Dansville and Elmira. Another was the Sunbeam Gallery operated by George W Godfrey at 81 Main in Rochester, NY. 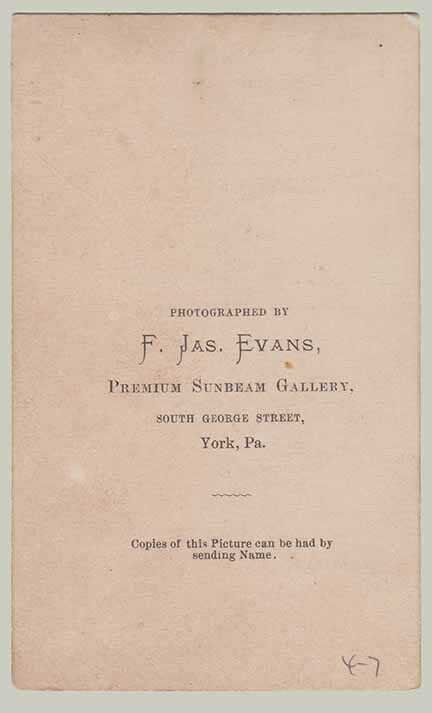 This studio seems to have operated earlier than the usual cabinet card era producing mostly wet plate process tintypes and daguerreotypes, working in the 1860’s and 1870’s. 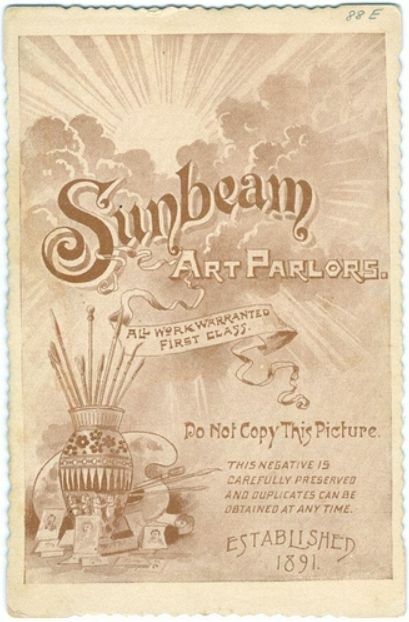 In California, one Sunbeam Gallery found was the Sunbeam Art Parlor at 236-238 s Main, Los Angeles, CA, operated by Charles J. Coules. No positive connection has been made to 31 Third Street, San Francisco, CA. 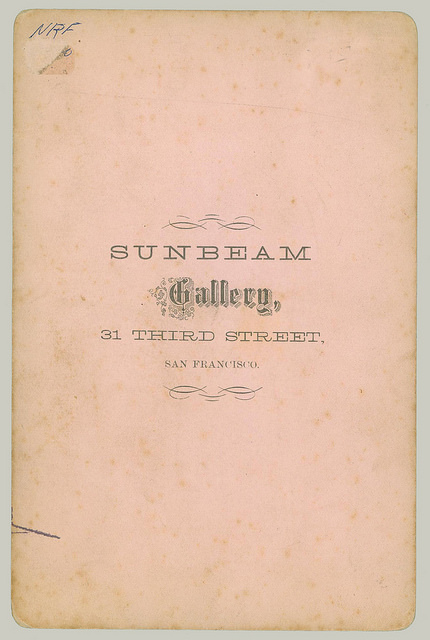 There was also a Sunbeam Gallery in San Bernardino, CA, operated by one William Godfrey (1835- ). 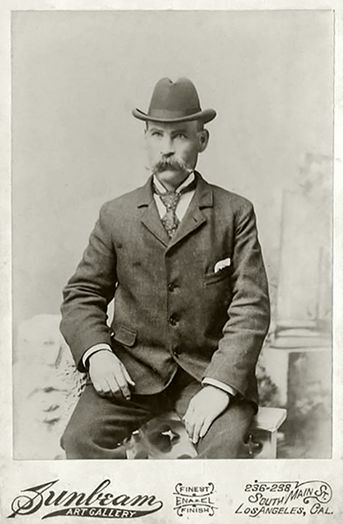 He was born in New York but so far no connection has been made to the aforementioned George W. Godfrey of Rochester, NY. And no connections have been made to the address 31 Third, San Francisco. And there was no shortage of G W Godfrey's during that time. There are records of at least four on the east coast including a prize fighter in 1883 and a man injured in the New York Saint Patrick day riots in 1867. There was also a George Godfrey in Oakland, CA, with his wife Jane, but he was not a photographer. 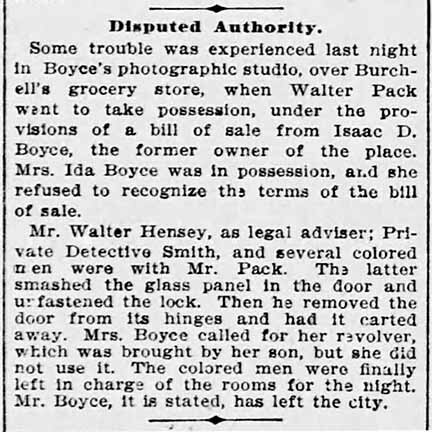 So, no positive identification has been made for the photographer who was at 31 Third Street in San Francisco, CA. 2018 First Ave. Birmingham, Ala. 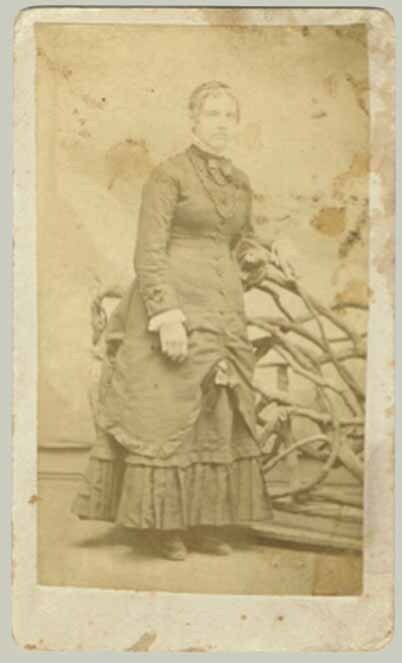 This one may not actually be a cabinet card. 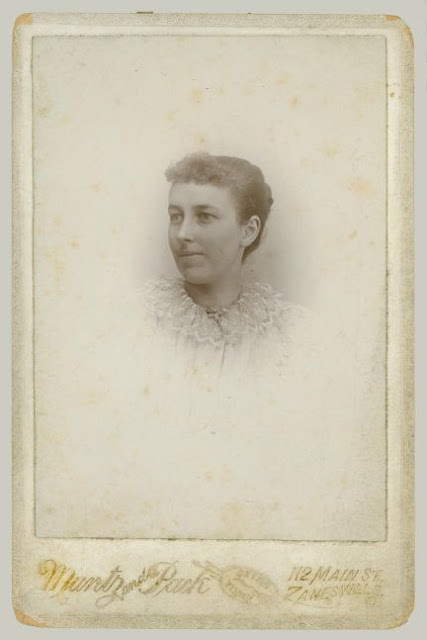 It is just close to cabinet card size and the position on the card is similar. 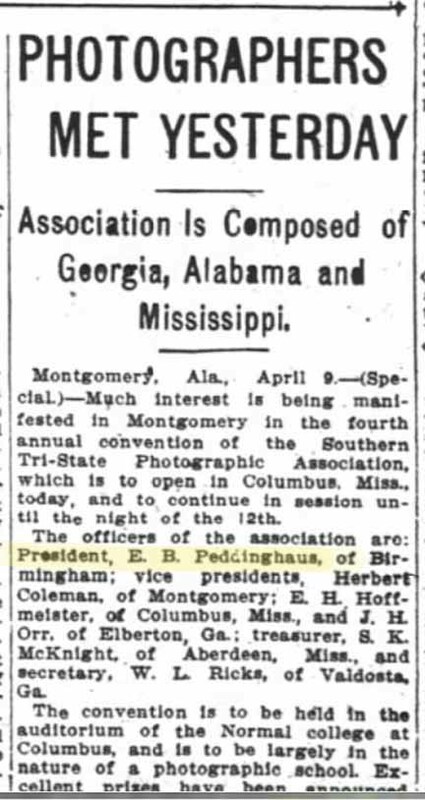 There are a lot of conflicting documents on E. B. Peddinghaus. 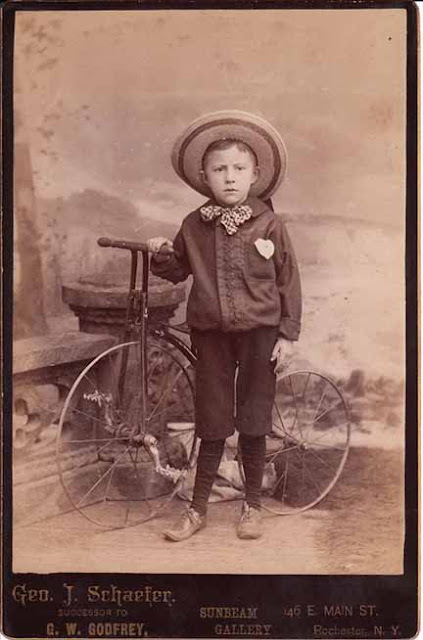 For example, many documents show he was born 23 Jul 1861 and yet, the 1860 US Census says he is 10 months old in June of 1860. 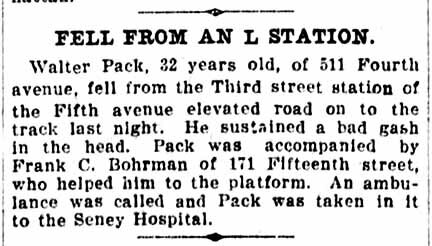 His death is documented at 23 Dec 1927 and yet there is an entry for him in the 1928 Birmingham, AL, city directory. Colchester, New London, CN, Alabama death certificate, Edward Bennen Peddinghaus is born to John Martin Peddinghaus and Maria G Newton. Atlanta, GA, city directory Peddinghaus NOT listed, Harry C Hall is operating the Augusta Art Gallery at 512-517 Jarvis - C bldg. 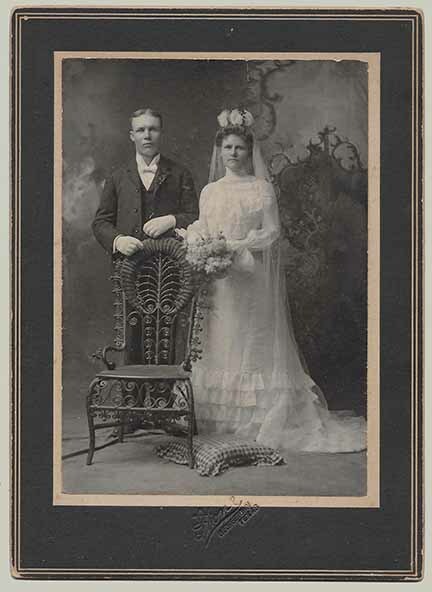 Robert James Stone (September 18, 1869-July 28, 1953) was born in Chappell Hill, Washington County, Texas to Warren Thomas Stone (1814-1878) and Cornelia Meriwether (1833-1870). The parents had come to Texas from Alabama after the Civil War. 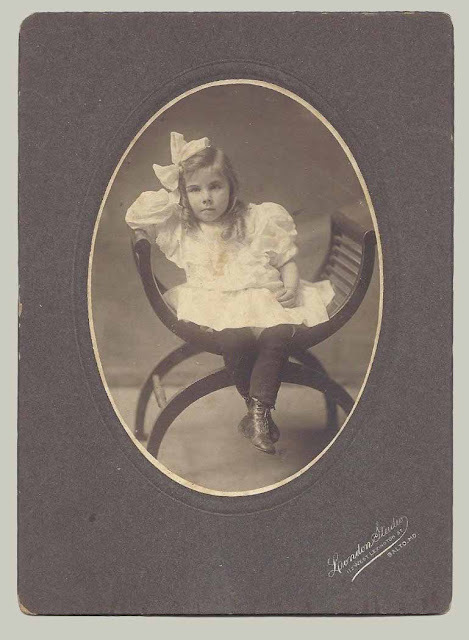 Robert’s mother died before he reached his first birthday and his father died eight years later. 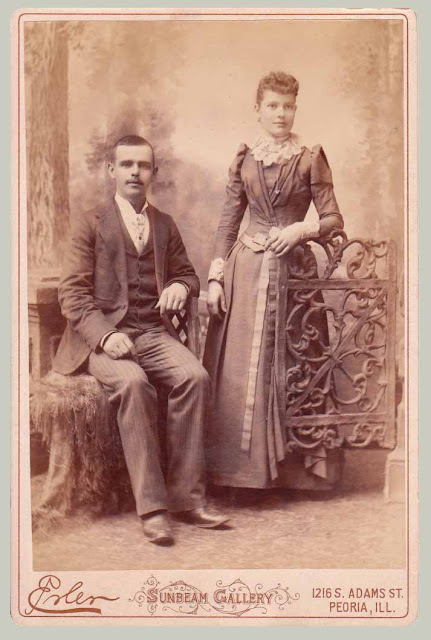 In the U.S. census of 1880, Robert is living with his half-brother, Thomas Benton Stone and family in Chappell Hill where Thomas was serving as President of Soule University. 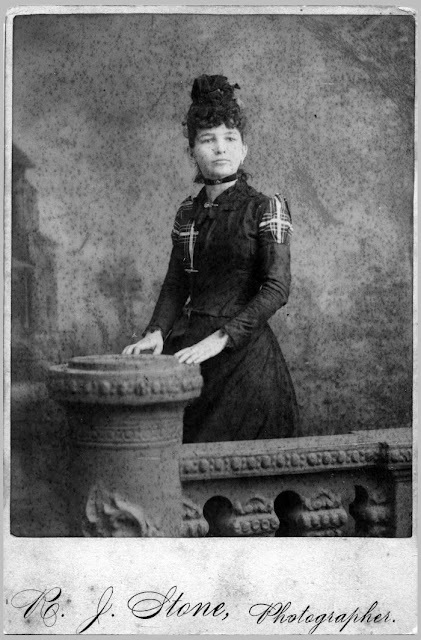 A year later, in 1881, the family moved to Caldwell, Burleson, Texas where Thomas joined his half-brother, Wooten Meriwether Stone (1855-1945) in a drug store enterprise. Thomas and family lived in Caldwell until 1893 when they re-located to Georgetown, Williamson, Texas opening a drugstore that he owned and managed the rest of his life. 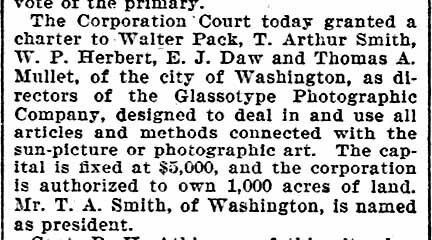 There is evidence that Robert began his career in photography in Caldwell and may not have made the move to Georgetown with Thomas’s family in 1893. 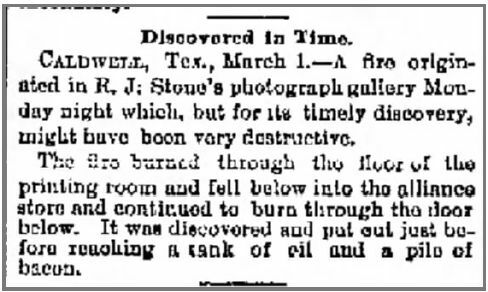 R. J. Stone’s photography gallery but, fortunately was extinguished before extensive damage was done. 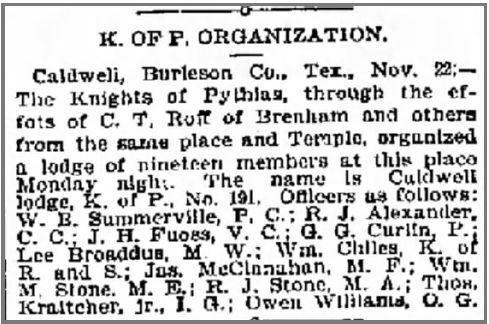 Also, there is an announcement of the organization of a lodge of The Knights of Pythias by a group of Caldwell men which includes R. J. Stone’s name. 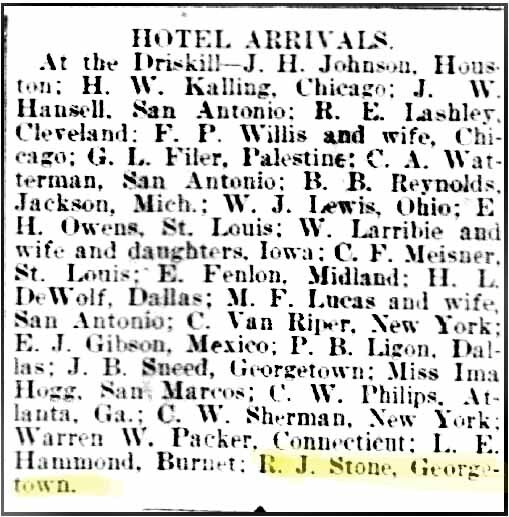 By 1896, however, Robert’s place of residence is noted as Georgetown in a list of guests at The Driskill Hotel in Austin. The first advertisement found for the Stone Gallery appears in the September 9, 1897 issue of The Georgetown Williamson County Sun. The ad gives the location as being across from the Standpipe located by the Fire Hall on Main Street just off the town square. In 1899 Robert advertises a carbon porcelain portrait. There is also a mention of an exhibition presented by The Farmers’ Institute in which he displayed several examples of his work. He employed two other photographers in 1899: W. P. Womble and S.M. 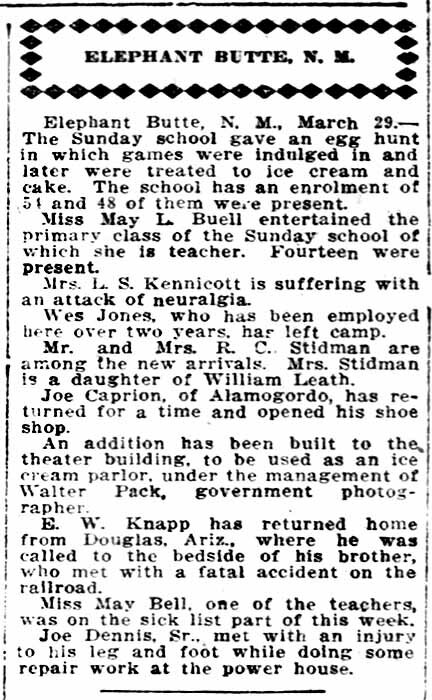 Jimenez, according to a short notice in an October issue of the local paper, The Georgetown Williamson County Sun, but there is no further mention of either of them that has been found. 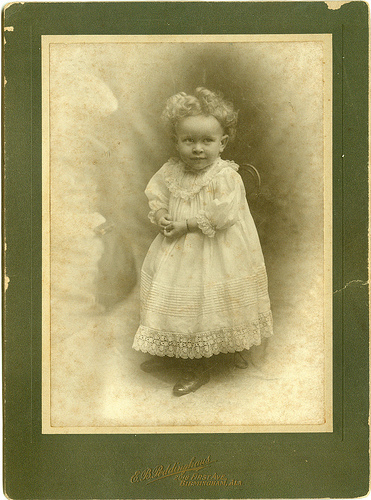 In the U.S. census of 1900, Robert is living at the Harrell’s Boarding House on Church Street and his occupation listed is photographer. Ads appear weekly in the local newspaper. 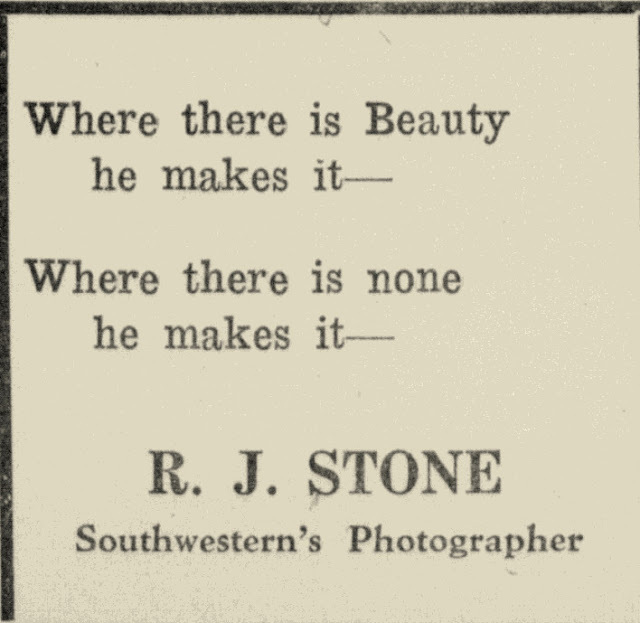 In 1904 there is a short article that Stone, the photographer, has many University photographs on display at his studio and that he is working on the Annual for the school. This began a relationship with Southwestern University in Georgetown as the school’s photographer that lasted for decades. 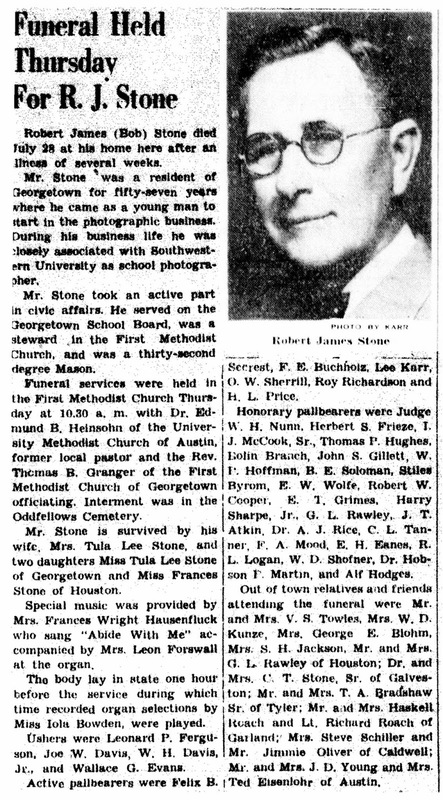 Robert was affectionately referred to as “Uncle Bob” by students and faculty, according to his obituary. 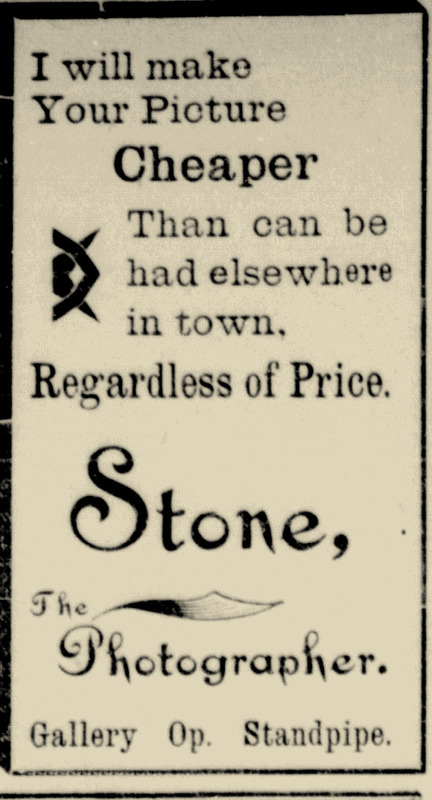 As the new century continued and the Kodak became popular, Stone Photography Studio offered cameras for rent and finishing of photographs taken. 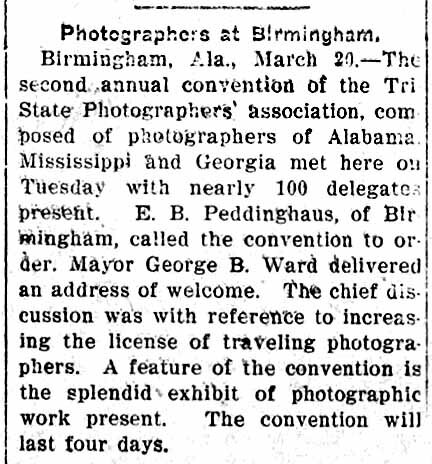 He continued photographing the citizens of the community and the county and appears to have been the only photographer in town for several years after N. M. Wilcox retired in 1921. 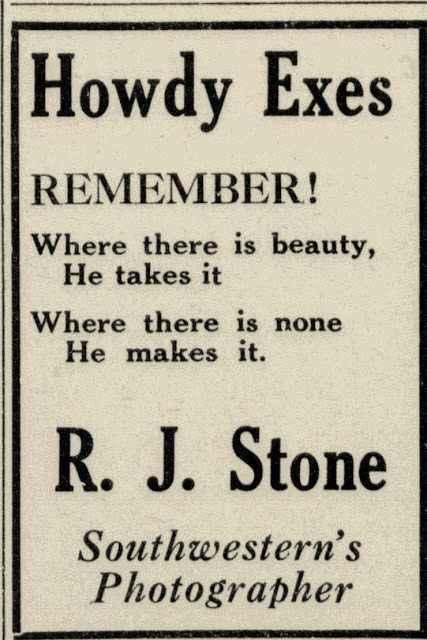 In 1946, he was joined in the business by Lee Karr, who, in 1947, announced that the name of the studio would change from R.J. Stone Studio to Lee Karr Studio. 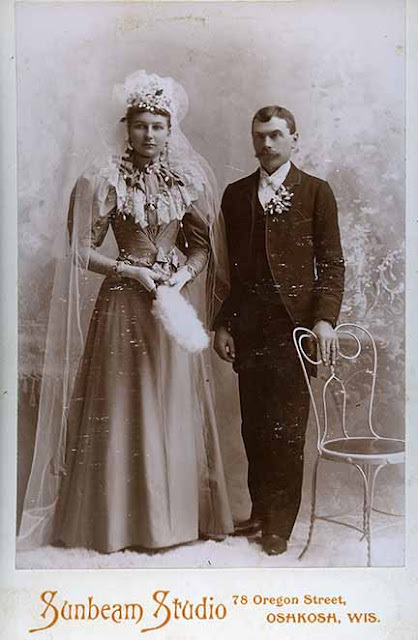 In 1906, Robert married Vitula “Tula” Lee (1886-1968) from Caldwell, Burleson, Texas. 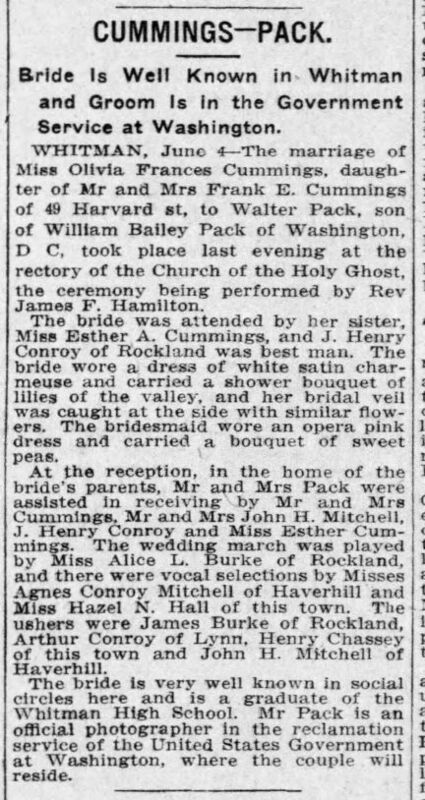 To this union three children were born: Tula Lee (1909-1989), Frances Elizabeth (1913-1968) and Robert James “Sonny” Jr. (1914-1925). The U.S. Census of 1910 shows the family residence on College Street and in the 1920 enumeration their residence was on Ash Street. The latter is one of many historic homes preserved in Georgetown. Robert James Stone died July 28, 1953. 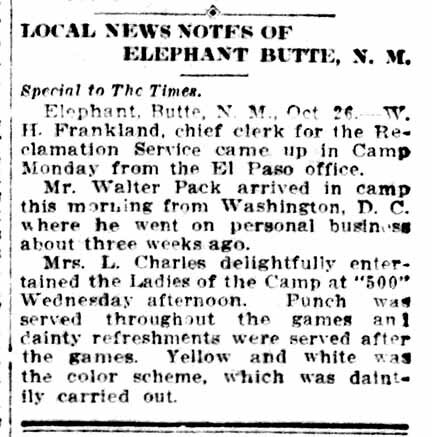 Time line information sources include U.S. census, newspaper items and Portal to Texas History. 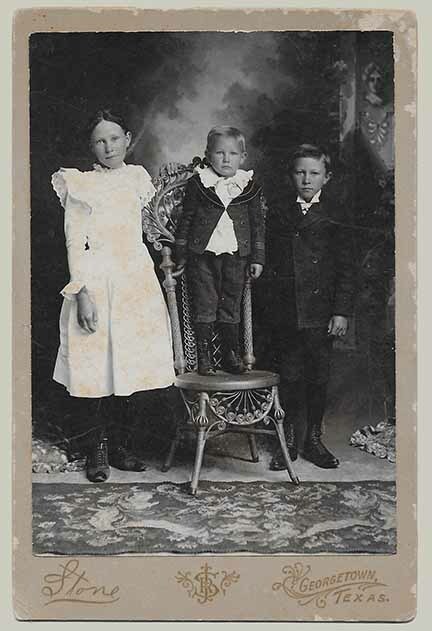 Living in household of half-brother Thomas Benton Stone and family in Chappell Hill, Washington, Texas. Family moves to Caldwell, Burleson, Texas. Robert is 12 years of age. 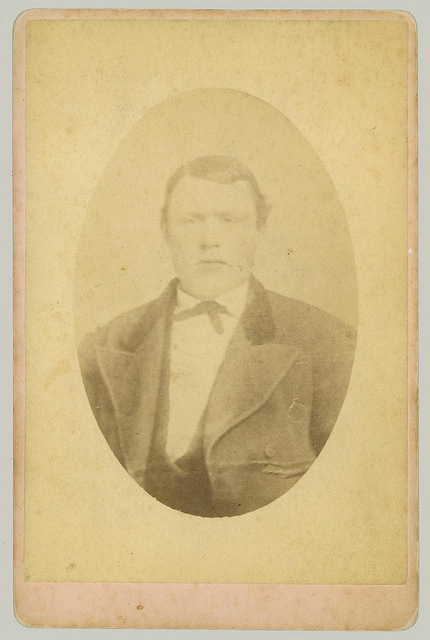 Thomas and family move to Georgetown, Williamson, Texas. Robert stays in Caldwell and has opened a Photograph Gallery there. No opening date found. Robert is living in Georgetown. First ads appear in the Georgetown Williamson County Sun for Stone Gallery. Robert displays some of his work at The Farmer’s Institute show in Georgetown. Death of Robert and Tula’s young son, Sonny. 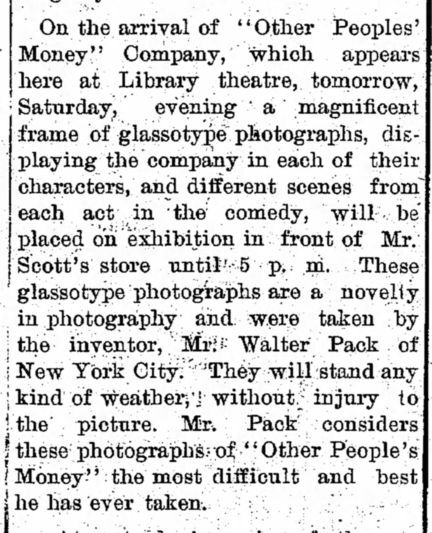 No further newspaper items or documents have been found that can be connected to Walter Pack the photographer. Some genealogical sites claim that he lived to 1940 and after, but nothing has been found to support this. 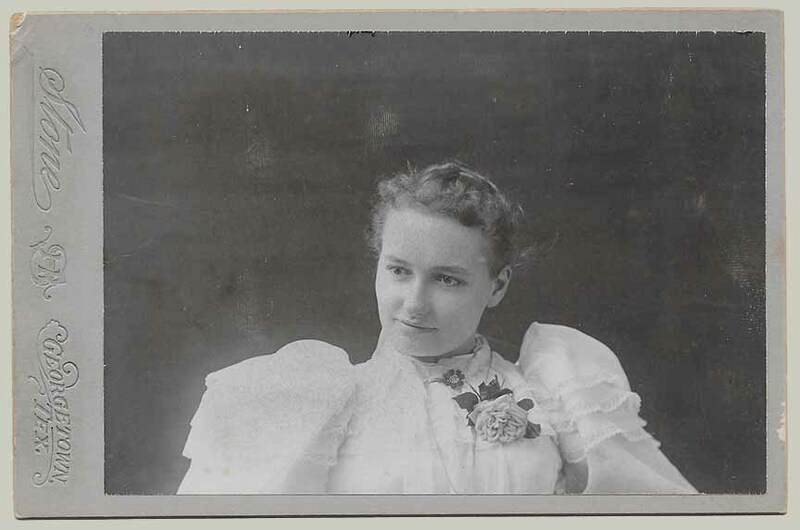 The cabinet card at the top was done about 1896 when Pack was partnered with Muntz in Ohio. 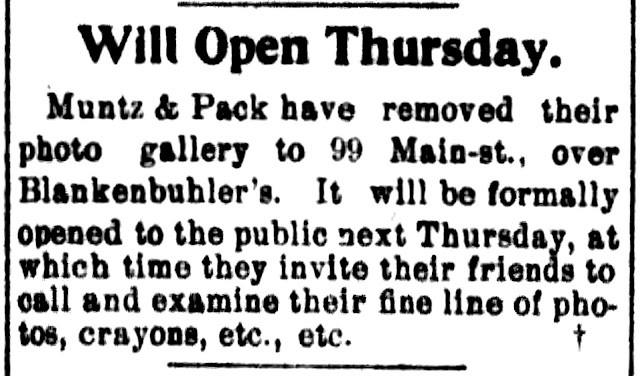 Example from 1906-1908 when Pack called his gallery the "London Studio"